Mum of Five Staying Sane: Where to shop for school uniform. Your Back to school checklist for September with brands from the high street. Where to shop for school uniform. Your Back to school checklist for September with brands from the high street. I know we are only just over a week into the holidays, some of us a little bit more into the holidays, but already the shops are full of Back to School items for September. 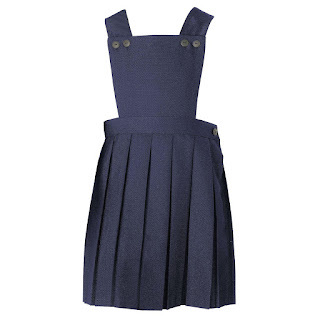 I thought I would take a look at school uniform and what the shops have to offer when it comes to the essential uniform shopping. I have four children still in education and in need of lots of school uniform! The list is endless and as a guide here is a list of what I would usually buy per child for a new school year if the children were in need of everything. We currently need trousers and skirts for Thing 2 and 3 plus trousers and polo shirts for Thing 5 and new socks for all of them! Thing 4 needs some new clothes too but as his school is non school uniform I can shop anywhere for his black to school clothing. We also need new school shoes, school bags, lunch boxes and stationery as well as name labels for EVERYTHING which will be covered in more detailed blog posts very soon. Alongside this the older two also need polo shirts but these have the school logo on and have to be bought from a local school uniform stockist. I try and find somewhere that can cater for all of the children. There is nothing worse than having to drag them around 20 different shops to get everything that you need but I know when shopping for a six year old and fifteen year old at the same time this isn't always going to be possible. 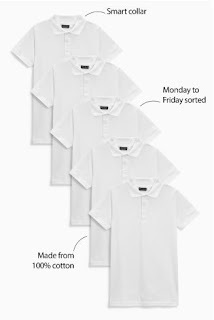 Here is a quick round up of a few key school uniform items from various stores with prices too. 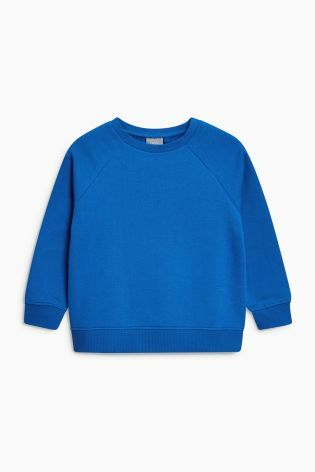 Marks and Spencer are currently offering free delivery on school uniform and luring me in with statements such as 'stain and weatherproof' 'non-iron' and 'scuff resistant'. 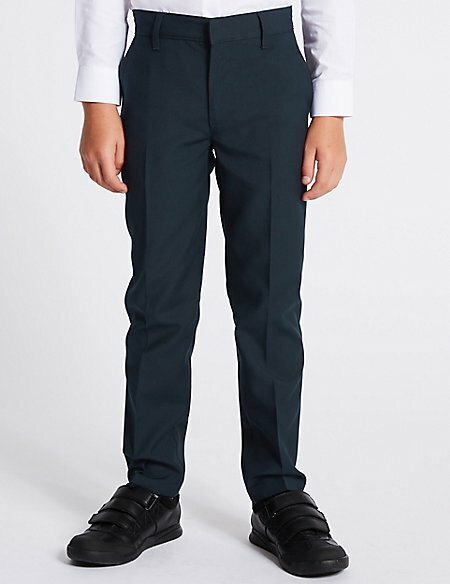 Their uniform sizing runs from 2-3 years right through to 17-18 years with slim fit, regular fit and plus fit as well as four different trousers lengths too. 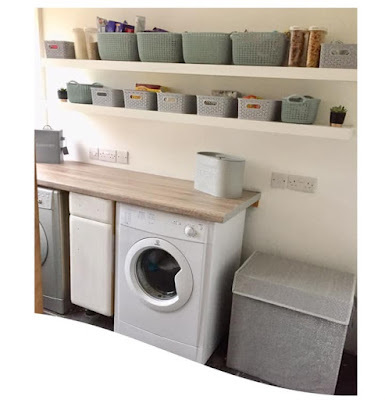 This is fab as it can hopefully cater to all my children's needs once we get there. 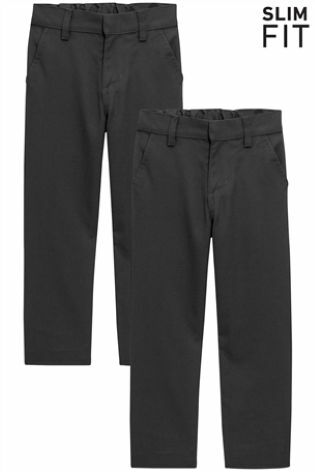 This 2 pack of boys slim leg trousers ranges from £11-£17 for a 2 pack and comes in four colours. Crease resistant, stain resistant and with an adjustable waistband too. 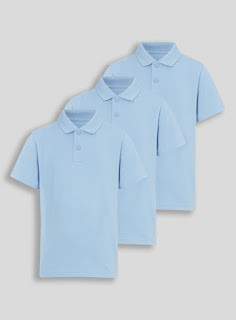 The Marks and Spencers polo shirts come in a pack of three and in five different colours too. Prices start from £7 for the younger ages and rises to £15 for the bigger sizes. 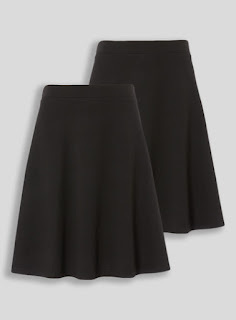 My older girls love a skater style skirt and this one from Marks and Spencer looks perfect with a nice length to it. This is a senior skater skirt and so the sizes start at 9-10 and go up to 17-18 years. Price range from £10-£14 for one. Marks and Spencer also have a whole range of jumpers, shirts, blazers, sports shorts, underwear, coats, shoes & trainers and socks so is an ideal one stop uniform shop. Next also have a lot of choice for their Back to School range and again stock almost everything you would need for school. 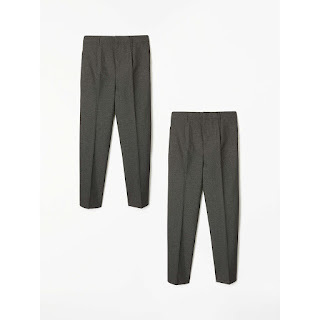 Trousers in Next are priced at £16-£26 for a pack of two as shown below and the age range is from 3 to 16 years. They have many styles of trousers for back to school and come as single pairs as well as some packs of two. 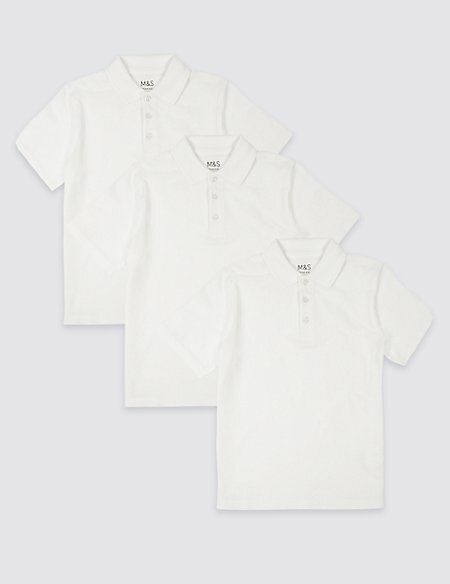 Their polo shirts come in a pack of five and cost between £15-£21 age dependant. 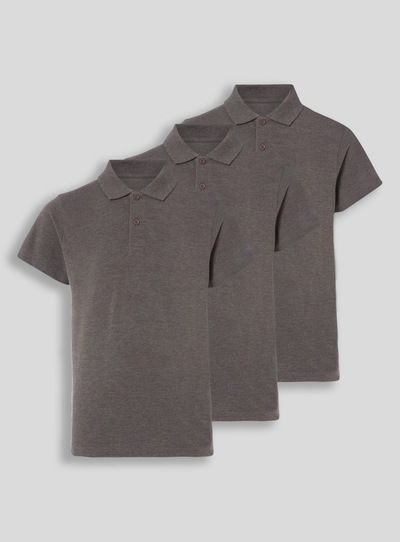 Next grey flat front slim fit trousers two pack and Next five pack white polo shirts. In Next they have 3 other colours of polo shirt available but these are in 2 packs and prices start at £6. 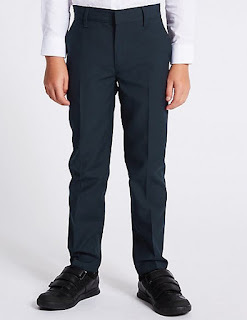 The majority of their trousers are black and grey with only 4 styles available in navy (Thing 5's school uniform colour way). If your school jumpers don't need to have a school specific logo on then Next have a great range of colours in their crew neck sweaters. With 7 colours to choose from and available in ages 3-16 years they start at just £6 each. I have bought lots of uniform from the TU at Sainsbury's range before and it's always been lovely. 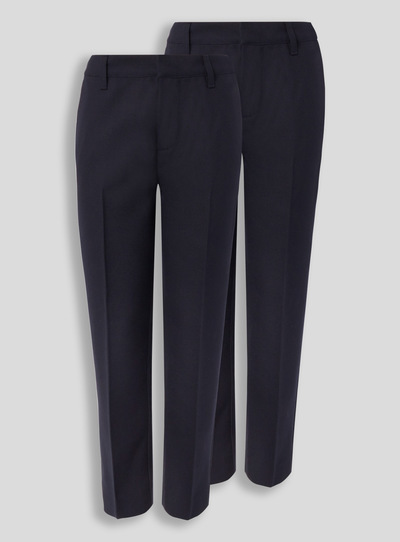 With trousers starting from just £7 for a 2 pack which are available in black, grey or navy. Clothing stops at age 12 years with Tu then they have a senior school section on their website which takes you up to age 16 years. 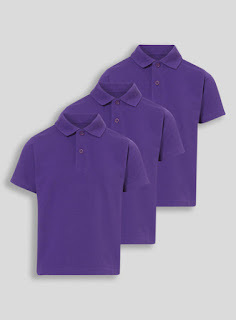 Sainsbury's polo shirts start at just £3.50 for three and are available in an amazing ELEVEN different colours. From white, yellow and light blue through to purple, black, red and many more. 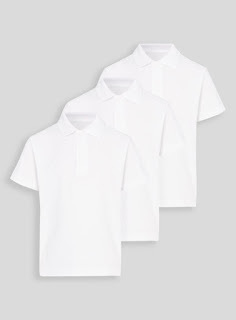 Just four of the eleven colours of polo shirts from Sainsbury's for Back to School. Prices start at just £3.50 for three. Tu senior school black skater style skirts. A 2 pack costs from £12 for ages 10-16 years. 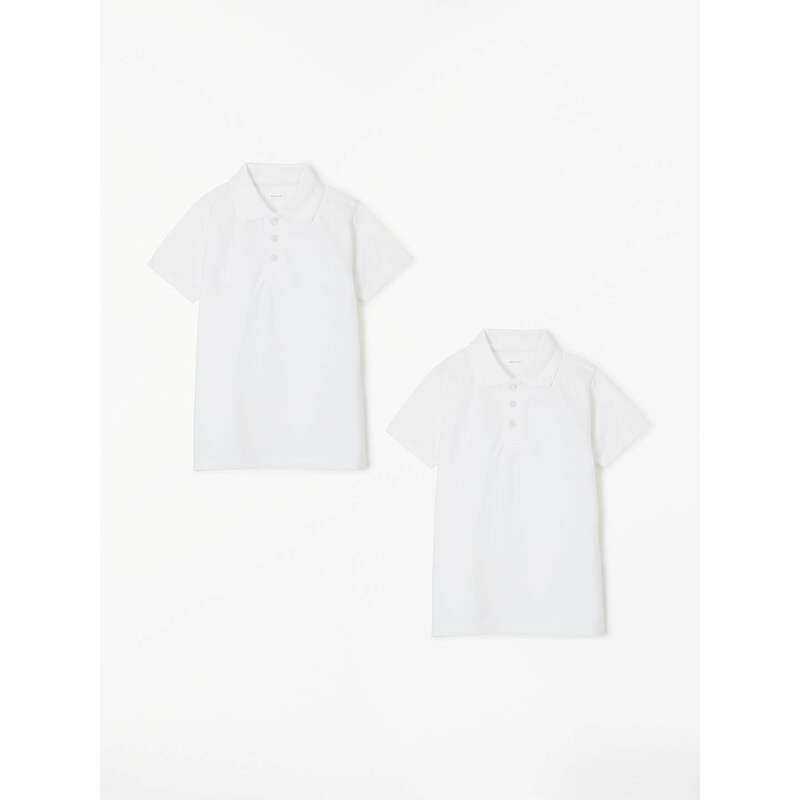 John Lewis have a good range of school uniform including some school specific uniform for certain schools in different areas. They have many different styles of trousers and skirts/dresses and all are available in grey, black and navy. Do also remember that in store at John Lewis they also have Clarks and Startrite shoe fitting services as well as other makes so you could get your shoe shopping done in store too. These John Lewis basics adjustable waist boys school trousers in a 2 pack only come in grey and cost between £10-£16. The age range is from 3-16 years. Their polo shirts come in a 2 pack and are available in 4 colours and start at £8 a pack, they are also available in 3-16 years. Available in grey or navy I love this John Lewis girls adjustable waist bib tunic dress. Thing 3 had this for infant school and it look lovely on. Priced at £15-£17 for ages 3-4 to 11-12 years. 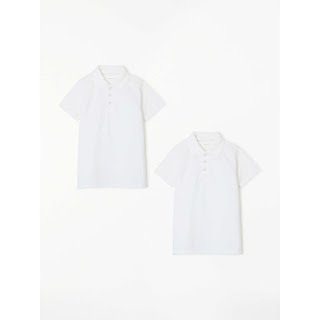 School uniform shopping can be stressful at times and stores can get very busy. Online shopping seems so much easier as long as your are certain on sizes needed, although many stores offer free returns for unwanted items. I always think I have got ages to buy uniform and then I am out in the last week of holidays along with lots of other frazzled parents looking for all of our Back to School essentials. Are you Back to School ready? Are you ready to go or are you a last minute shopper?